On June 27th, 2018, the patriarch of the Jackson family, Joseph Walter Jackson, passed away. Jamon and Q welcome return guest Taj Jackson to discuss memories of his grandfather, and to set the record straight regarding the way the way the media has handled news of Joe’s passing. 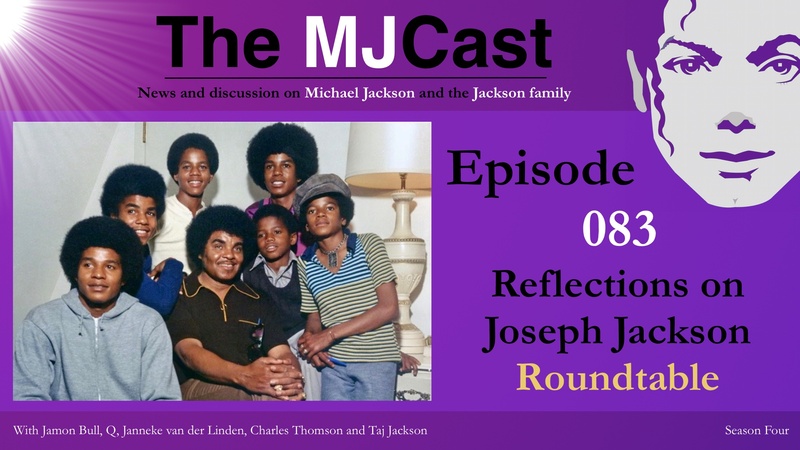 For this very special roundtable episode, the guys are also joined by The MJCast’s Jackson Family Correspondent, Janneke van der Linden, and Legal Correspondent, Charles Thomson. Joe Jackson, also known as ‘The Hawk’, started life with a rough childhood in Arkansas. He married Katherine Scruse, and fathered ten children with her, all while working two jobs, one at a steel mill and another as a welder, imbuing his children with a love of music and performance. Joe quickly started managing his son’s blossoming musical careers, and, though he became known for ruling the group with an iron fist, loved ones say his fire only sprang from wanting the very best for his children. He pushed his sons to achieve greater and greater heights, from local talent shows, to national competitions, to Steeltown Records, Motown, and international stardom. Joe was a complex and sometimes controversial figure, but he is remembered now, by his family members, for his amazing will and the sacrifices he made to help his sons reach incredible levels of success. He was also there for his son, Michael, through many of the hardest years of his life, particularly during the 2005 trial and in the lead up to Michael’s ill-fated This Is It tour. The MJCast’s entire team offer their condolences to the Jackson family on their loss, and thank Taj for sharing his memories. May Joe rest in peace.